Stress is one of the main contributors of heart related diseases and stroke. Any way you look at it, stress can and will kill. Because of this fact, more and more people today are now finding out new ways to relieve stress. Some people find it relaxing when they exercise or when they work out at the gym, others say that playing sports is a great way to relieve stress, while there are also some people who prefer going to the spa to get a massage in order to relieve stress. These activities can really help you relieve the stress you feel from work or from school. But, have you ever considered playing video games to relieve stress? Recent studies have found that playing video games can really help you relieve stress. In fact, just 15 to 30 minutes of playing with video games can get your mind off stressful things. So, why can video games help relieve stress? For starters, you have to remember that the real world is indeed a stressful world. Every single day, you will encounter stressful situations which can really affect your overall well-being. Video games can virtually take away this reality and put you inside the game. This actually means that it’s ok to dumb out in a short amount of time. You just need to get your mind off the stressful things you encounter each day. 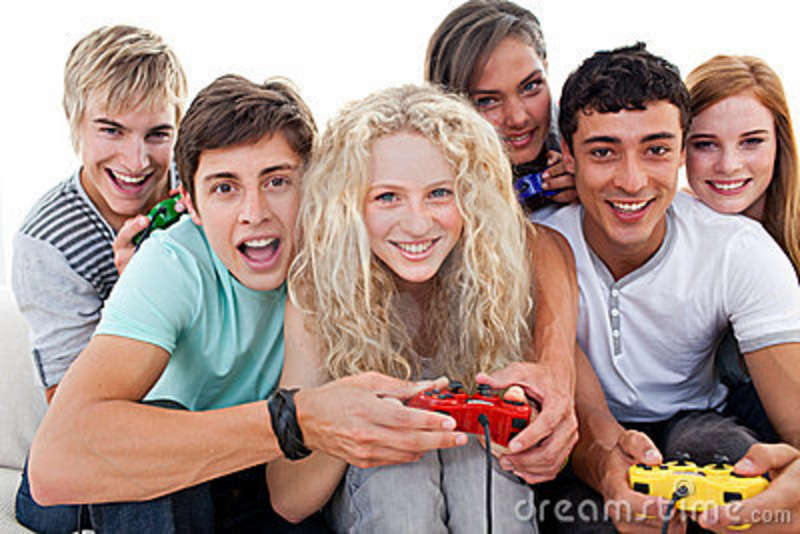 After playing with video games, you will feel refreshed and also get your mind ready for another session of stress. In fact, more and more companies are now considering putting video games in staff rooms. Serving as a way for their employees to get rid of stress during their breaks, studies have found that employees who play video games during break time are more efficient at work than those who don’t play video games during their break. Another great benefit of video games is that it creates cooperation and team building. There were reports that the marines played with the Xbox 360 video game, Halo during their time off. The group of marines played online with other people from different parts of the world, which really improved communication between them and it also helped in strengthening the team in real life. The best thing about playing video games is that it helped them focus more on work as playing with the video game really relieved stress. In fact, there were even reports that surgeons play with video games right before operation. This is because video games can really help them keep their focus once they get going on the operation. It will help in clearing the mind from distractions which is essential when they go to surgery. As you can see, video games aren’t just all fun and games. There are hidden benefits that can really help you in the real world. This will serve as a great stress reliever and it can also serve as your outlet of stress and frustrations you experience in the real world. So, if you need a great stress reliever, you don’t have to go to the spa. All you need to do is play with video games. Within 30 minutes of playing, you can be sure that your mind will be clear of any stressful thoughts, which also means that you will be able to take care of your overall well-being. This entry was posted in Content, Games, Health & Fitness, Internet, Philosophy, Self Confidence, Self Help, Self Mastery, Success, Video.